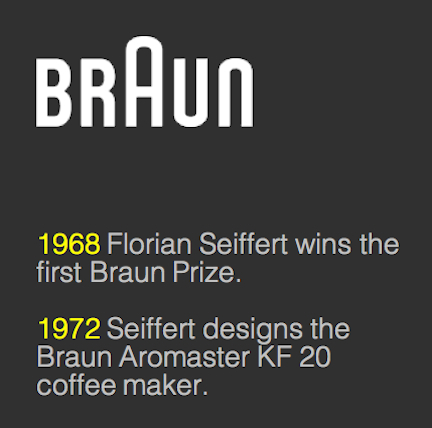 Re-imagining the classic Braun Aromaster KF 20 coffee maker by Florian Seiffert. 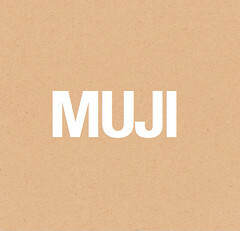 The aim was to combat design obsolescence through aesthetics (iconic influence) and maintenance (designed for disassembly). Richard Wilson is completing his Master’s in Industrial Design at the University of Leeds where his interests include Industrial Design and 3-D Modeling. If I were on the lookout for talent, I’d snap him up and give him a job right away. When I first saw Richard’s rendering of his redesigned coffee maker for Braun, I was fooled — I thought it was a photograph of an actual product and I wanted one! Braun has been up and down with its industrial design ever since the company was sold, first to Gillette and then to P&G. The current coffee maker (below) can’t compete with either the original Seiffert design or Richard’s redo. It’s awkward and clumsy and I wouldn’t want it cluttering up my kitchen counter. I love how Richard’s design pays homage to, but does not mock, the original KF 20. In many ways I think his design is an improvement on the original. The KF2010 is one sensual coffee maker. As Gizmodo put it, this machine has been remade for the Jetsons. And that’s a good thing! 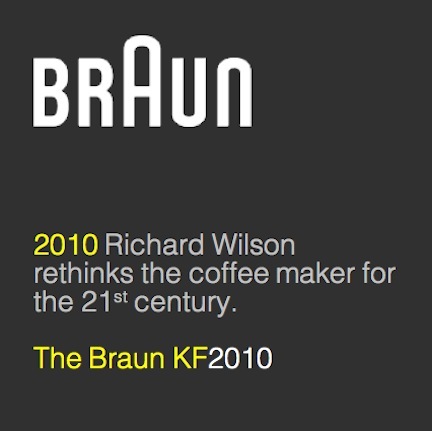 I hope that the executives at Braun see Richard’s design and get him involved in their design studio. I, for one, would snap this design up if it were commercially available (and his other industrial designs are pretty cool, too!). The KF 20 is the best coffee machine we’ve ever used to make a great cup of coffee. It’s design was kind of abused later on, by introducing the KF21 in 1976. The thicker bottom piece, and this small lever on the bottom of that, these upgrading attempts, they hurt the original KF20 design more than it was an addition for the Braun coffee machine 4 years after it’s introduction. The KF2010, on the other hand, would be a great compliment to Florian Seiffert, as this would be a perfect 21st Century redesigned follow up of the legendary KF20 he designed in the 20th Century. As soon as the KF20 type “4 050” is back in stores, or the KF2010 get’s mass produced, I’ll certainly buy one, probably in every color that was available back in the 70’s. 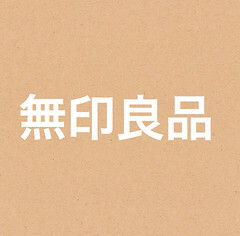 I got all excited when I saw the redo design and started looking on line of where I could buy one…… darn it!!! I have two of the old ones, a white and a yellow. One was bought on Ebay the other at a junk store. My original finally gave out after daily use from the time I bought it in 1978 until 2005. It is the best looking coffee maker still! Wish that they would make them again, I would buy one in every color! The best coffeemaker ever made! I have a 1976 red Braun Aromaster KF 20 and use it every day. However the brewing basket is breaking bit by bit. It makes the best coffee, bar none. And it’s beautiful. 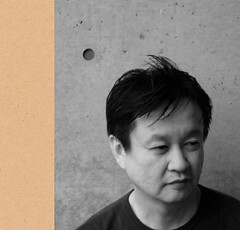 If I could buy Richard Wilson’s design, I would. In an instant.